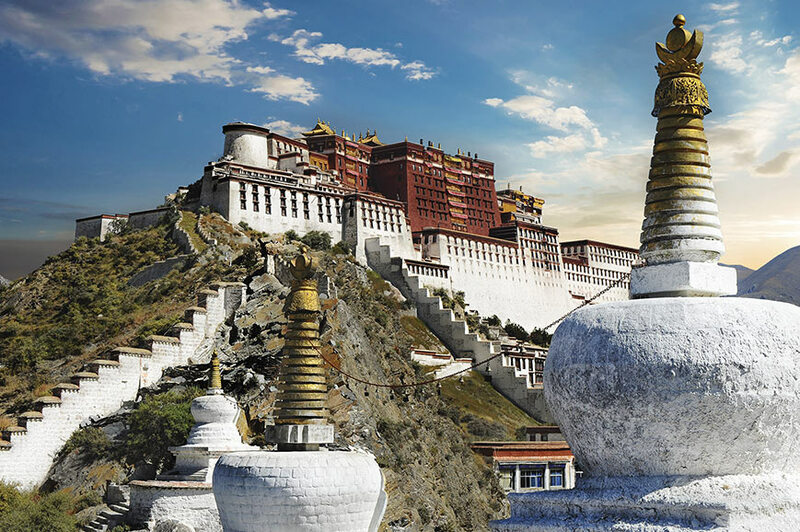 ​Adventurous travellers won't want to miss this incredible tour of the Yunnan Province and Tibet. 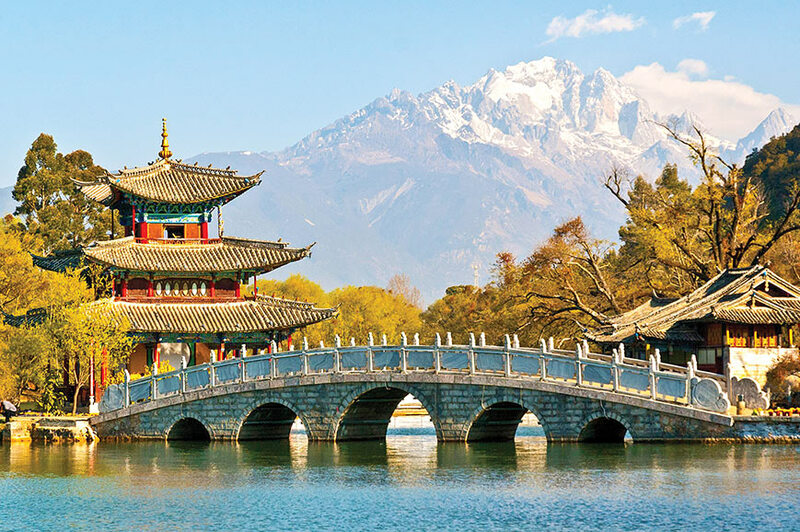 After flying to Shanghai, there's time to explore this modern metropolis before venturing west to the city of Lijiang. 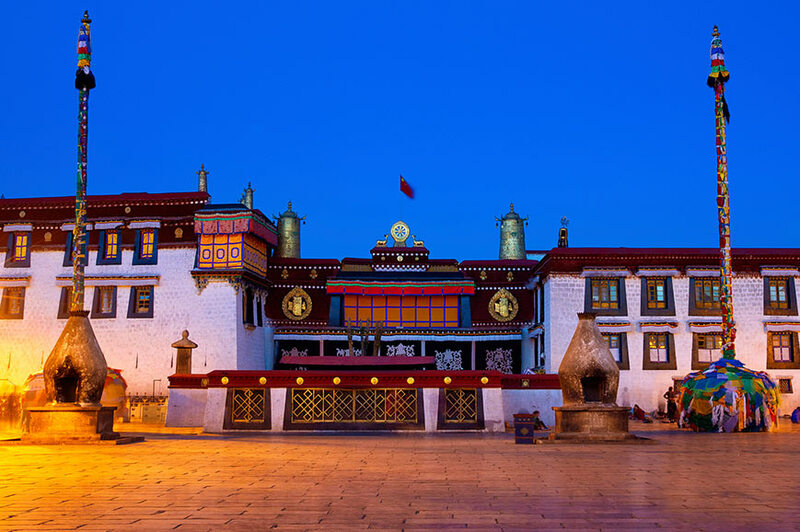 We'll meet a local Naxi family, learn about their culture and discover the mystical town of Shangri-La, then continue our journey to Tibet and its remote capital Lhasa. 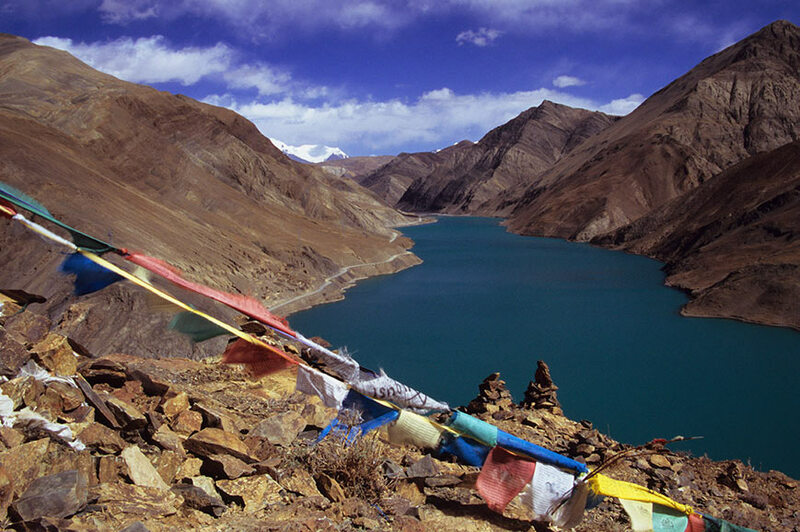 UNESCO-listed sites, monasteries and a Buddhist temple all await our discovery and we'll also visit the sacred Yamdrok Lake on our journey to a world unseen by most travellers. Look for the when you're browsing our website, this indicates when you book that departure it’s guaranteed to depart as promised. Our tours give you fantastic value for money, so we’re confident you won’t find a better price… but if you do, we’ll not only match it but give you £100. You deserve the best, and when you book early we guarantee you’ll get the best price available. If you see your holiday advertised for less than you paid, we’ll refund the difference. You will depart on your scheduled flight to Shanghai today. 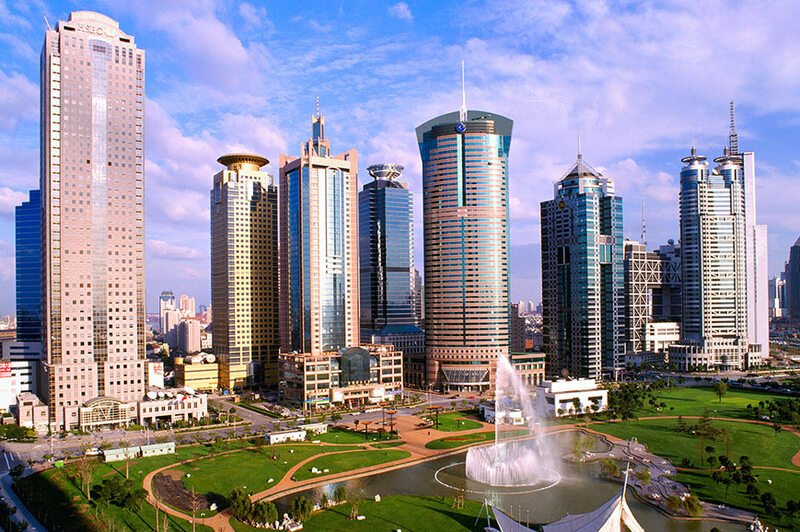 Shanghai is China's largest city, and on arrival we will transfer you to your hotel. 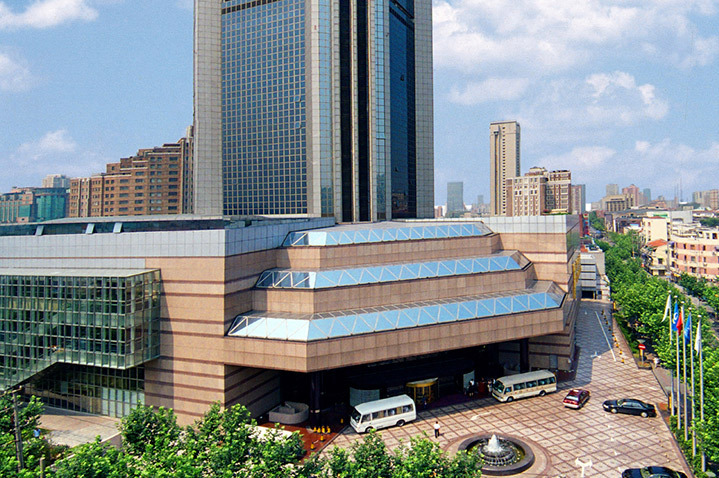 Western culture and oriental charm collide in this modern metropolis, as you'll discover during your two-night stay. 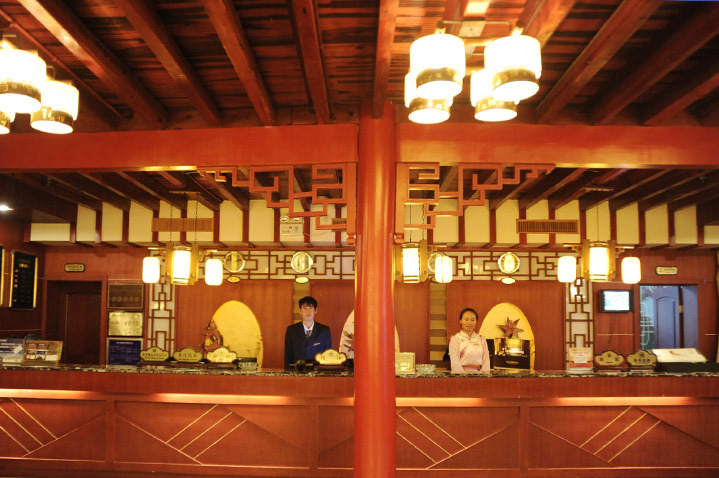 This morning we will transfer you to the airport for your flight to Lijiang, where you'll stay for the next two nights. 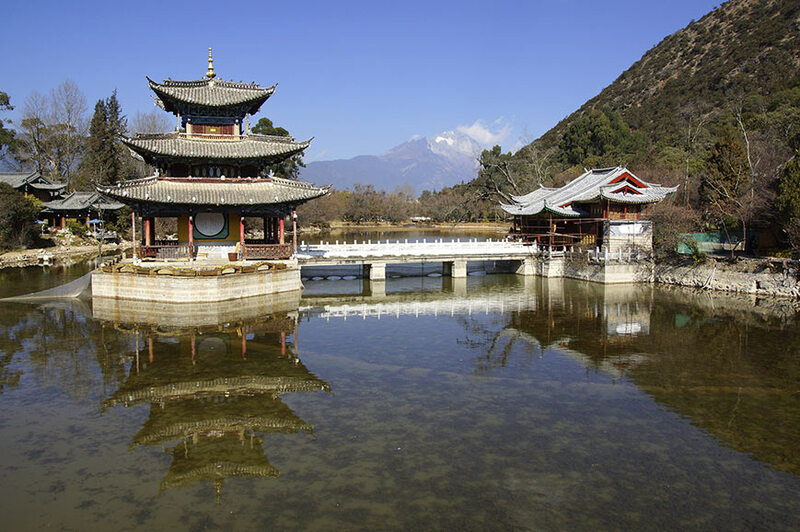 Lijiang is the capital of the Naxi Kingdom and is surrounded by fields and forests. On arrival we will explore the charming Old Town, steeped in history and natural beauty. Today we'll visit the fascinating Yufeng Temple and Monastery, where an ancient 500-year-old camellia tree still blossoms in the spring. Next we're going to visit a family in a local Naxi village and learn about their intriguing culture. After lunch we'll visit the beautiful Black Dragon Pool. A number of ancient monuments surround the water, and on a clear day you'll enjoy fabulous views of Jade Dragon Snow Mountain. 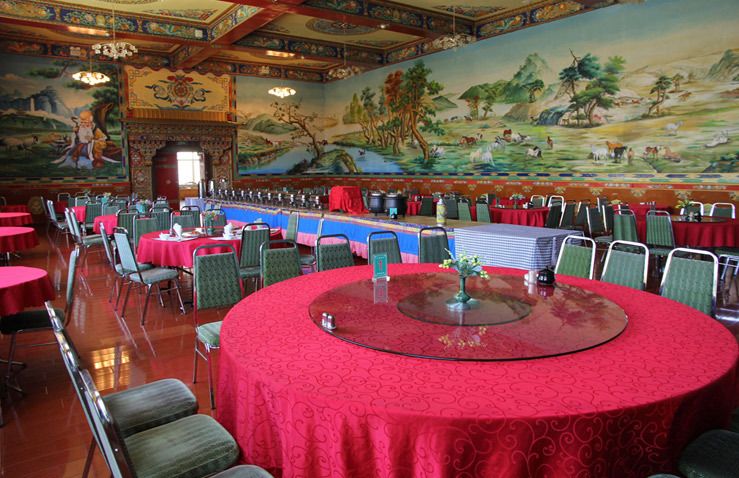 If you want to discover more about the Naxi people, you can attend an optional Naxi concert this evening - a performance of traditional music played by local people. The average age of the musicians is 60, and it is feared that as the years pass this old tradition may be lost forever. 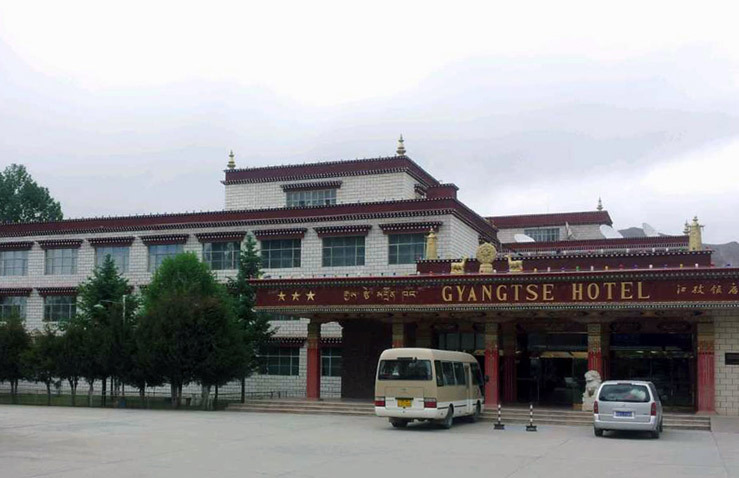 A journey by bus takes us to Zhongdian, the town now known as Shangri-La. Its name was changed in 2001 to associate it with the paradise-like world featured in the novel, Lost Horizon. Along the way we'll stop to enjoy a picnic lunch and admire spectacular views of Haba Snow Mountain. We'll also visit Yi, a traditional village and see the scenic First Bend of the Yangtze River. When we arrive in Zhongdian, a tour will introduce us to its interesting Old Town and we'll see and turn the world's largest prayer wheel. 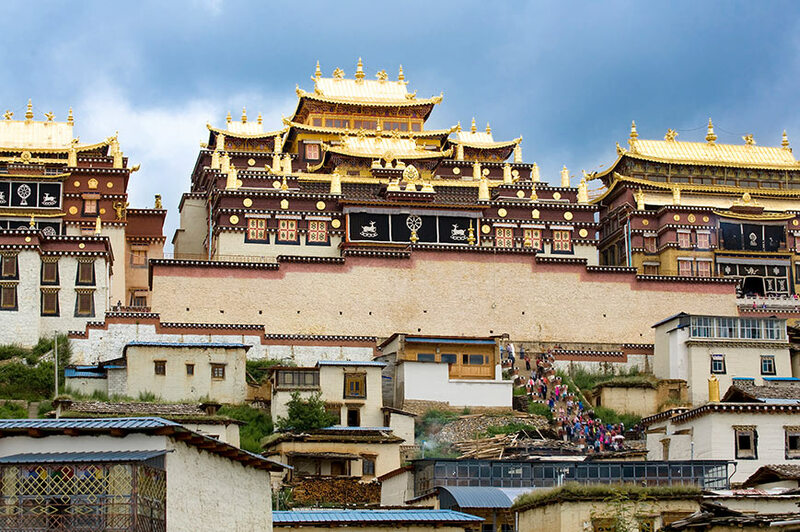 Today you'll see the fascinating Songzanling Monastery. Built in the 17th century, it has a gilded copper roof and at one time about 3,000 monks are thought to have lived and studied here. Later, we'll drive to Dabaosi and meet a family in a traditional Tibetan village. 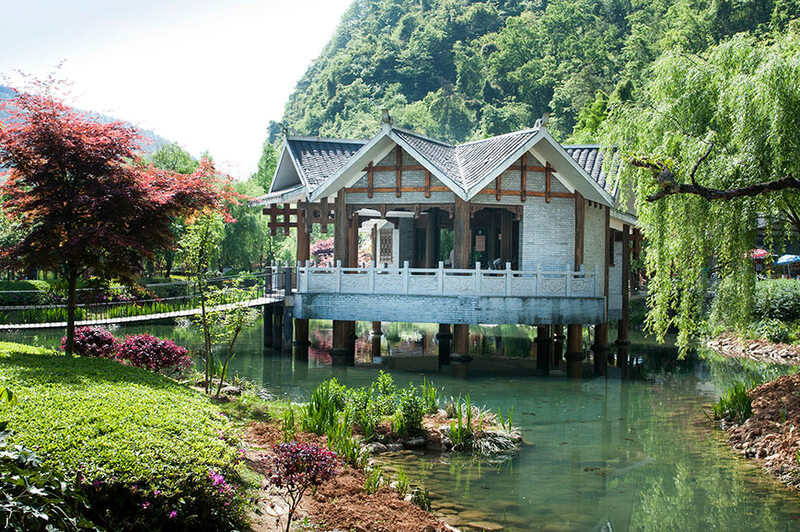 We'll step inside a house, learn about local life and visit the Dabao Temple. 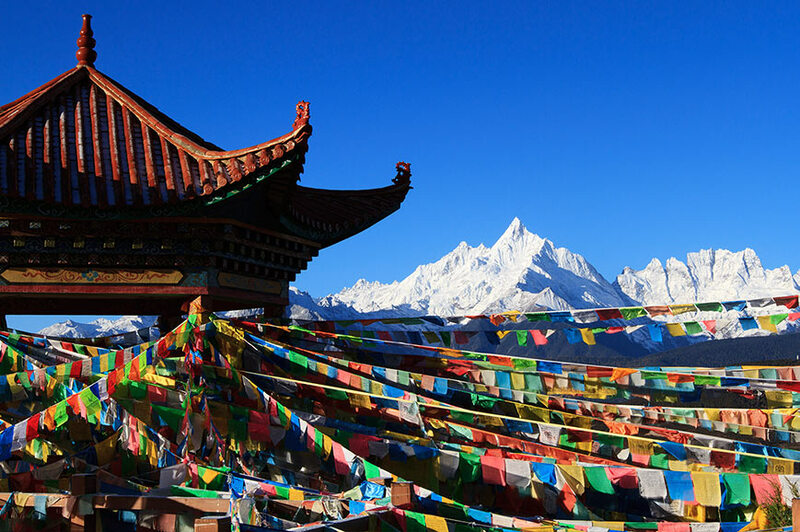 Amid the spiritual surroundings you can buy Tibetan prayer flags and Yak butter candles if you wish. 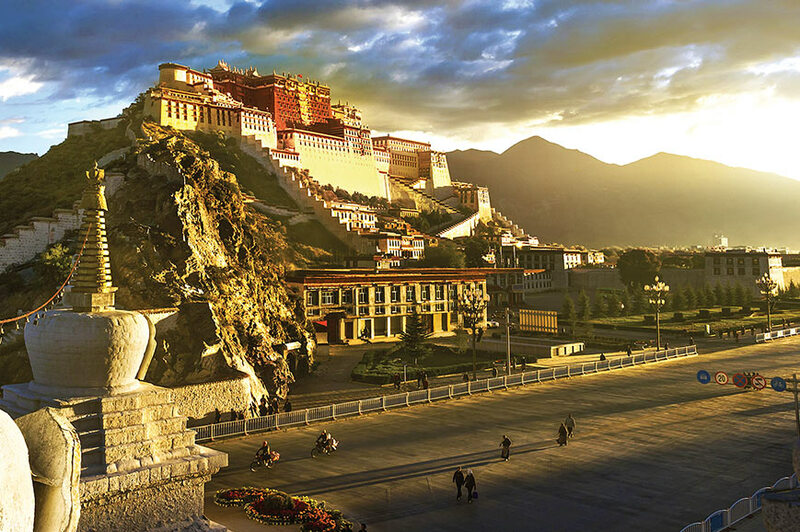 We'll fly to Lhasa, in Tibet, this morning. This immensely spiritual region boasts breathtaking scenery, impressive monasteries, ancient temples and friendly people who are proud of their culture. 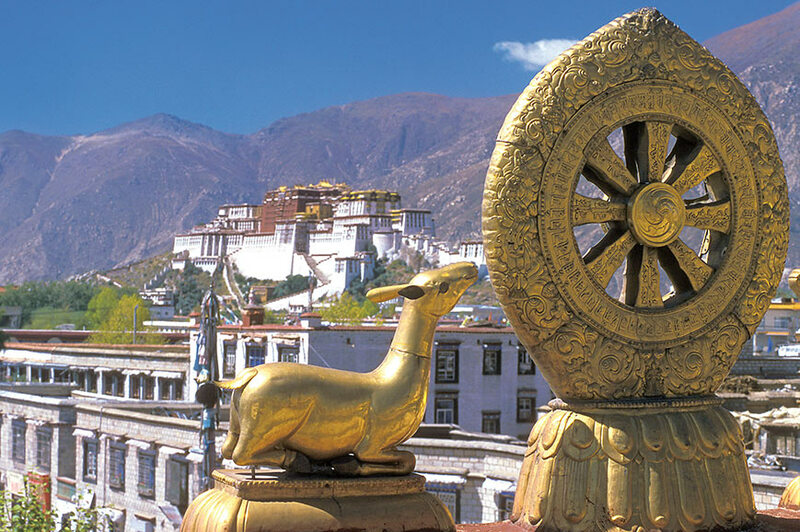 This morning, there is an opportunity to explore Gyantse as you wish before we drive back to Lhasa this aft​ernoon. 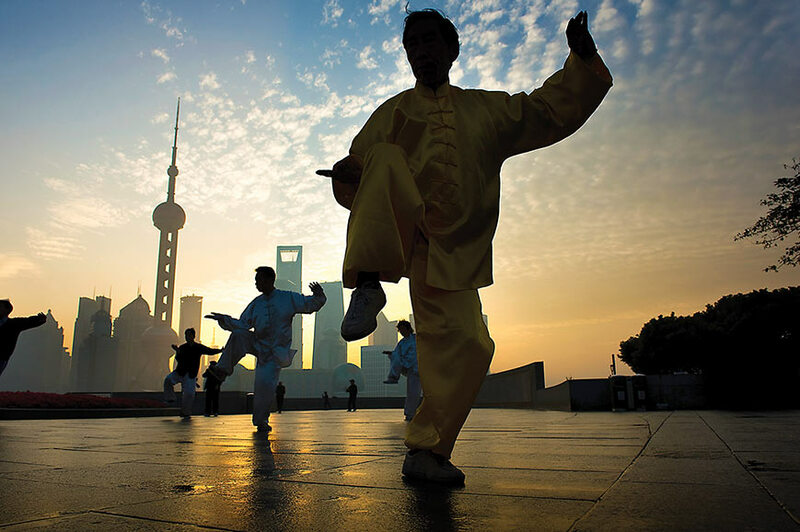 We'll explore the lively city of Shanghai on a guided tour this morning. Highlights include the Oriental Pearl TV Tower and the Old Town. 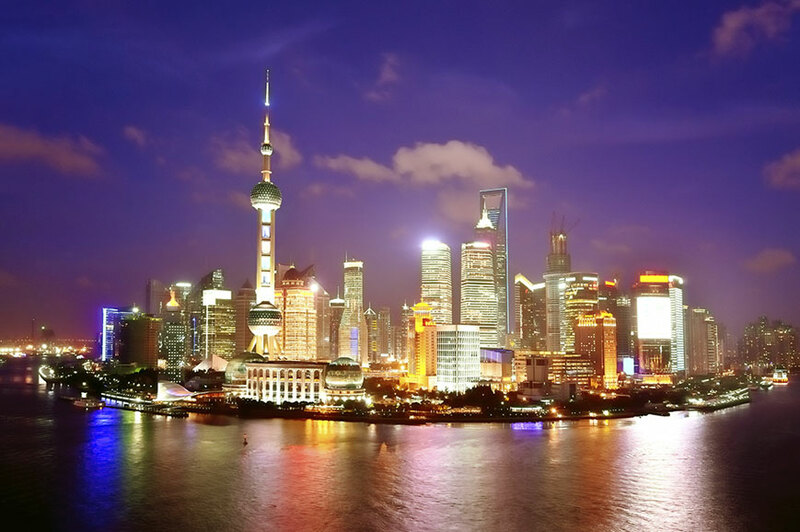 You'll have time for some last-minute shopping, and for spectacular views of the city, there's the option of a Huangpu River cruise. 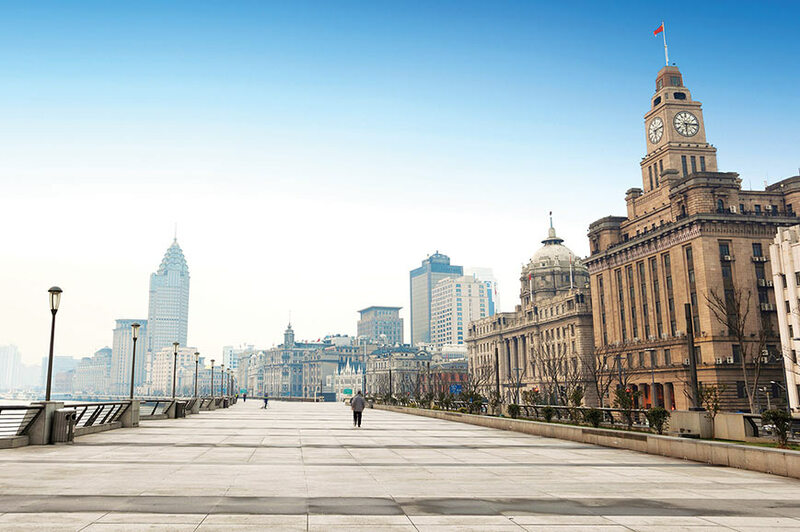 Sights you'll see include the Yangpu and Nanpu Bridges, the Monument to the People's Heroes, the Bund, the Wu Song ancient gun fort relics and the Pudong Business District, which boasts a dramatic skyline. This evening we'll get together for a farewell dinner. Every hotel you will stay in on your holiday is hand-picked by us. We relish the challenge of finding the right accommodation for each and every tour, whether it's chosen for its location, its facilities or its downright quirkiness. 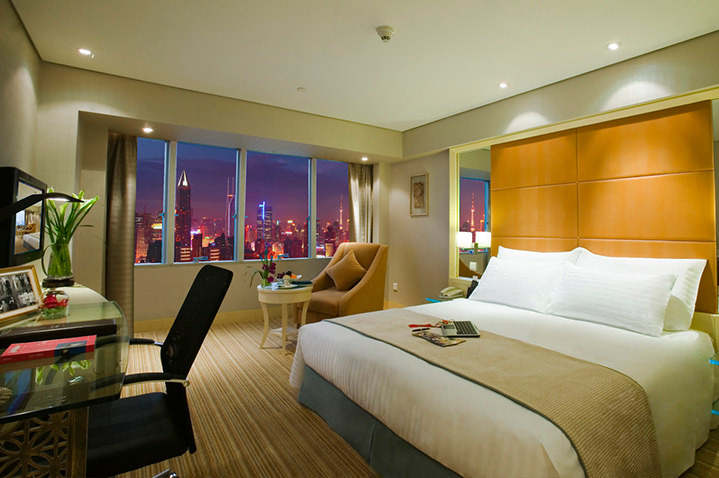 Jin Jiang Hotel Shanghai is situated in downtown Shanghai. 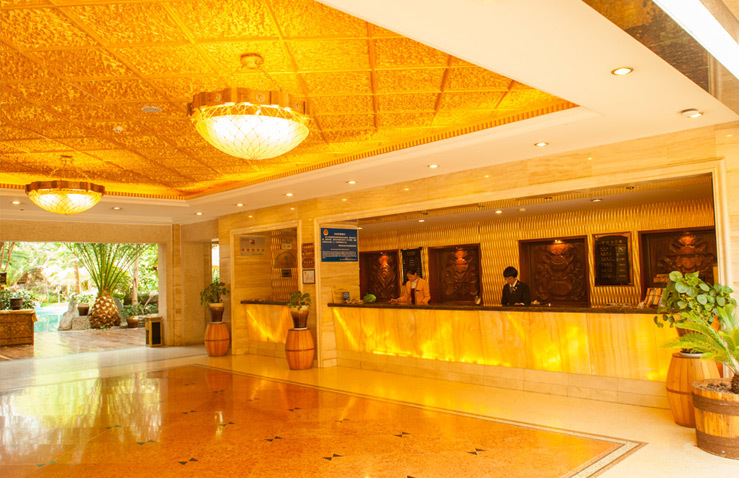 Hotel facilities include three restaurants, café, Lobby Lounge, Gymnasium, Beauty Salon and Sauna. 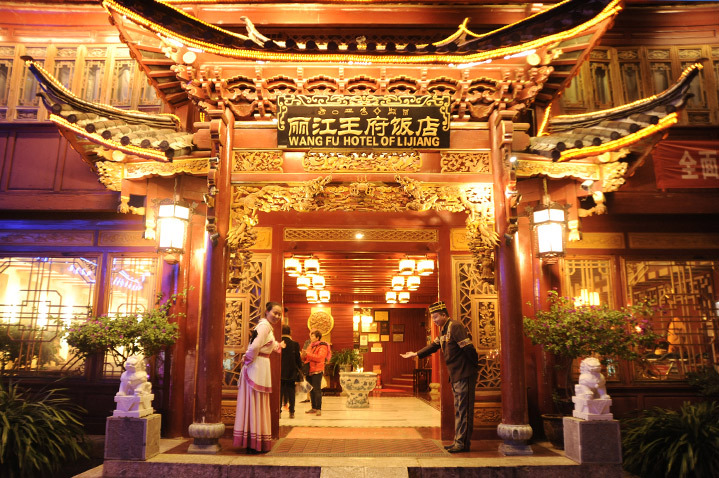 Located on the south gate of the old town, featuring tranquil old-world architecture, a peaceful garden atmosphere, and flowing dark-wood walkways, the Wang Fu hotel is located in a quiet area close to the Old Town centre. 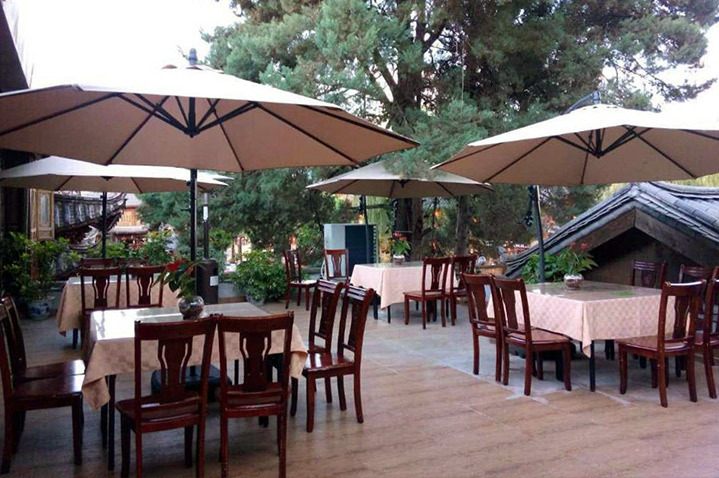 The hotel has a restaurant serving Western and Chinese dishes, as well as a bar, a fitness centre and outdoor pool. All rooms feature en-suite facilities, TV, internet access, minibar and tea/coffee making facilities. 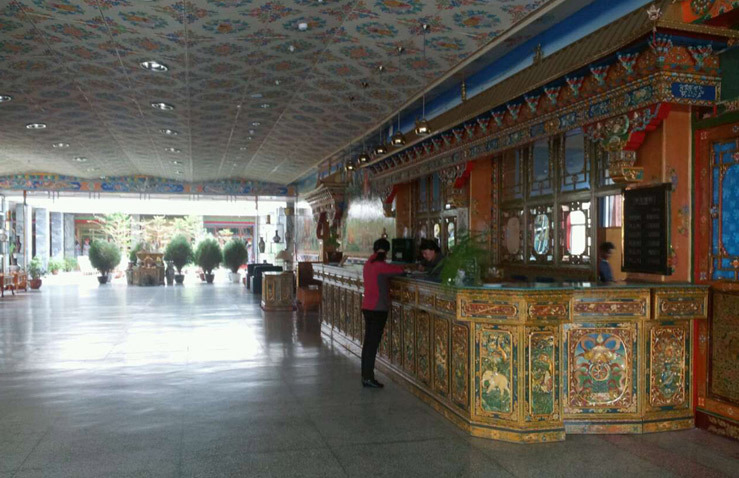 Paradise Hotel is situated in Shangri-La in the Yunnan Region. 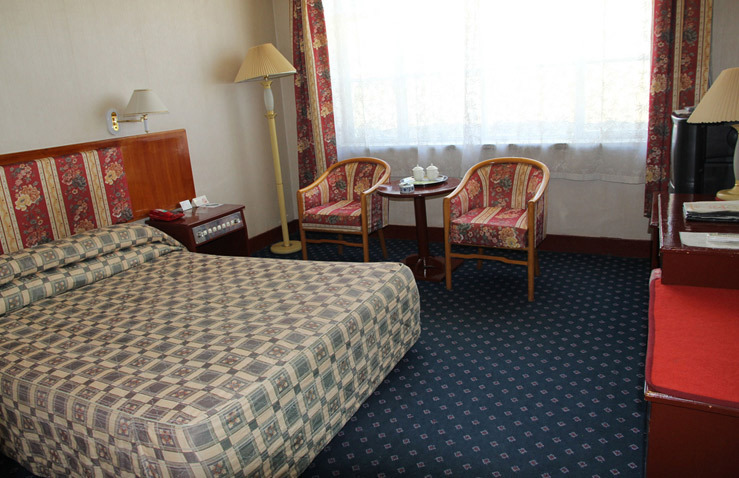 Rooms are air-conditioned, with a flat screen TV and hairdryer. Hotel amenities include a restaurant, fitness centre, and free Wi-Fi. Named after the Kyichu River which in Tibet is known as "The River of Happiness". 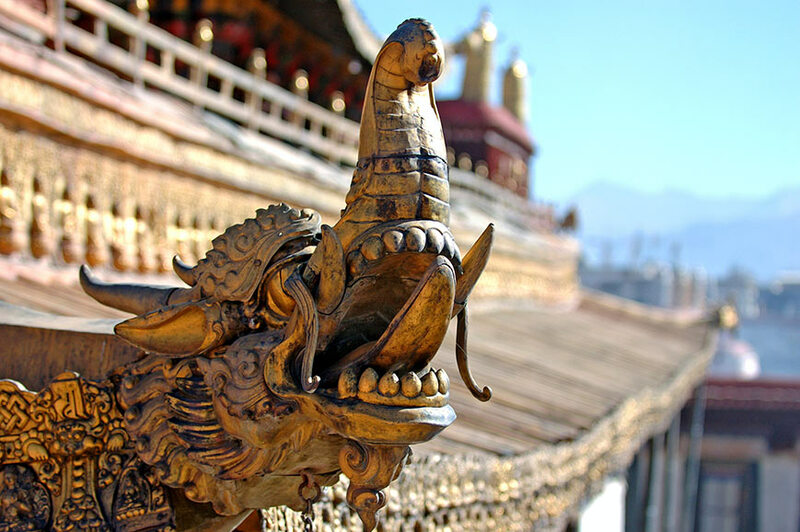 A tributary of the Yarlung Tsangpo and the cradle of the ancient Tibetan civilisation, the river meanders through the fertile valley in which the fabled and formerly forbidden city of Lhasa is situated. 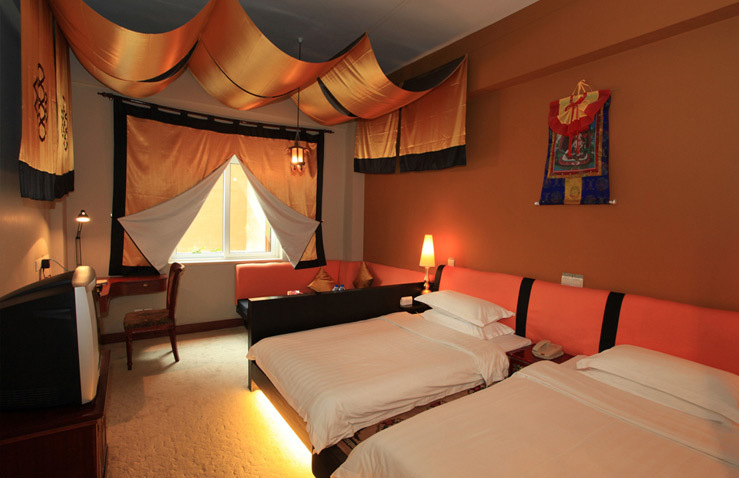 Located between the sacred temple of Jokhang in Barkhor Square and the famed World Heritage Potala Palace and minutes away from traditional quarters of Lhasa. 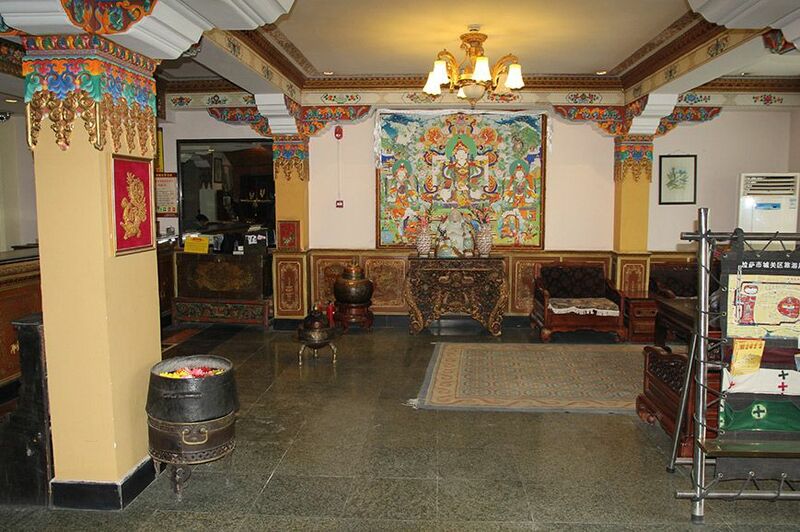 Hotel features include 24-hour hot and cold running water, indoor/outdoor garden restaurant with umbrella tables, North Indian, Tandoori and Nepalese chefs. 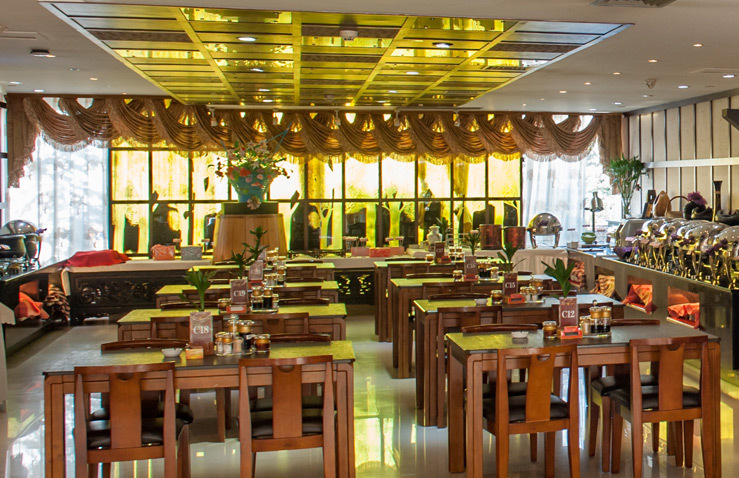 Being treated as a family member and getting individual attention, making it your base will let you enjoy complete satisfaction service offered by the friendly and knowledgeable English-speaking staff. 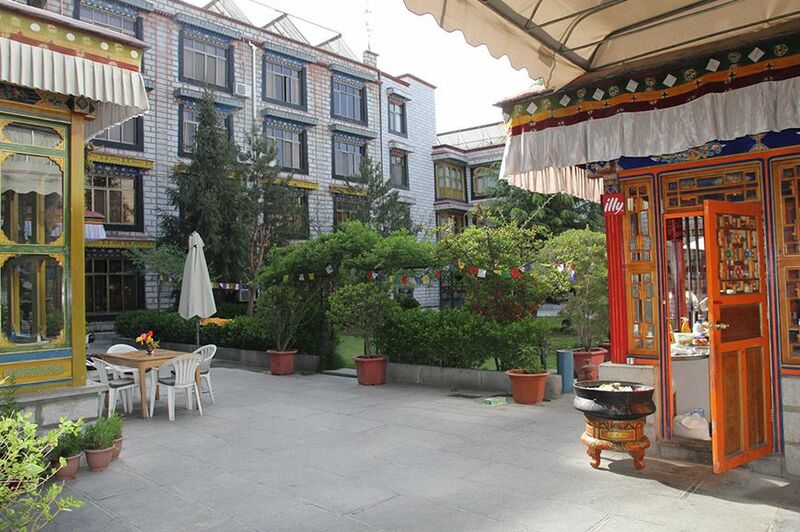 Built in 1986, hotel is located in the ancient city centre of Gyantse town. 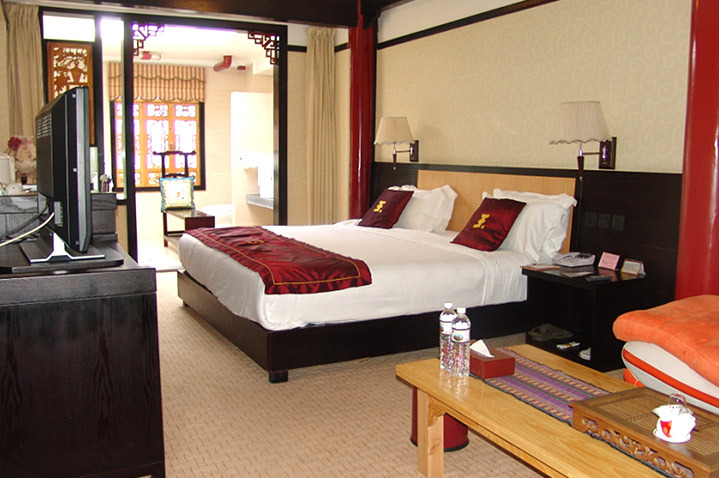 The hotel includes single, double and triple rooms with attached bathrooms. The hotel has 3 restaurants supporting almost 300 people. 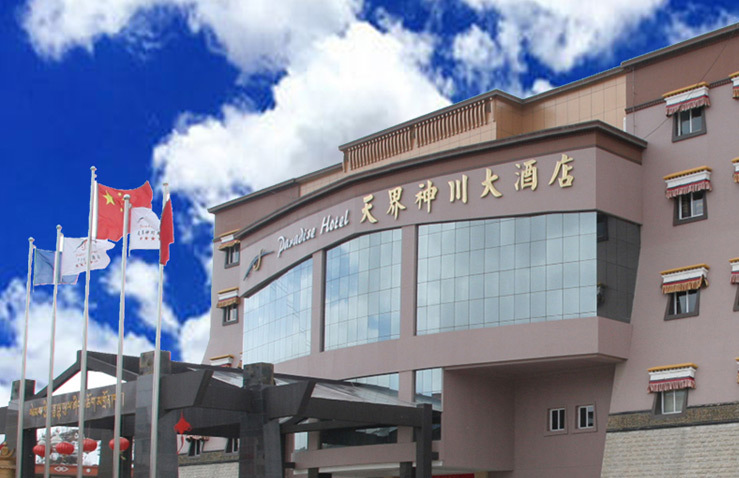 The hotel and room amenities include front helpdesk, Western/Tibetan-styled guestrooms, laundry, business centre, shopping centre, restaurants, bar, internet, cafe nearby, private bathrooms, 24-hour hot and cold water, boiled water in thermos, IDD telephone, colour/cable TV, writing desk, room service. 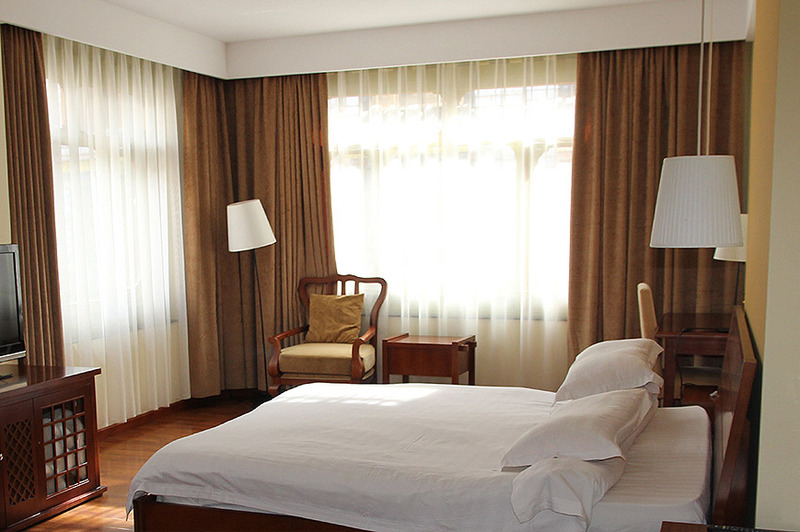 Prices are based on twin occupancy of a double or twin bedded room. Single occupancy supplements will apply. Travelsphere have made every effort to ensure the accuracy of the hotel images provided on this website and images of room types displayed may vary to those offered on your tour. Therefore due to the possibility of inadvertent errors we do not guarantee their accuracy. Hotels, airlines used and flight times are subject to change and will be confirmed in your final documents. 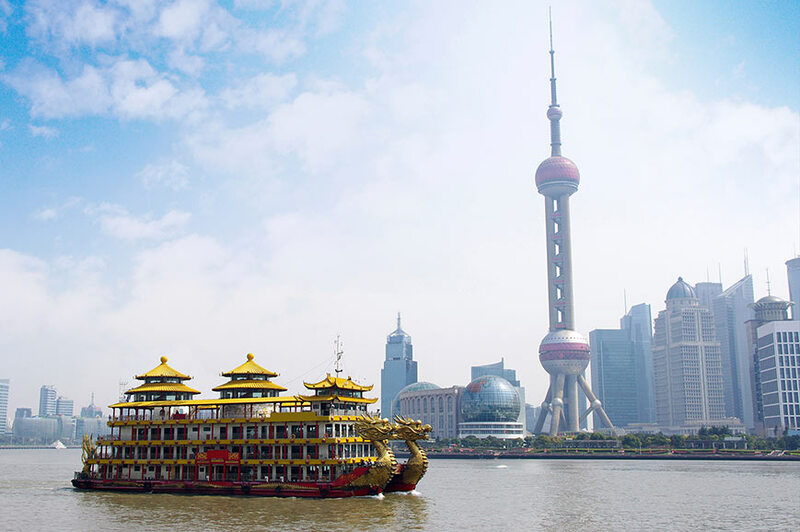 Cruising on the Huangpu River is an important tradition in Shanghai. Architectural buildings on the West Bank of Huangpu River stand opposite various modern skyscrapers on the East Bank. 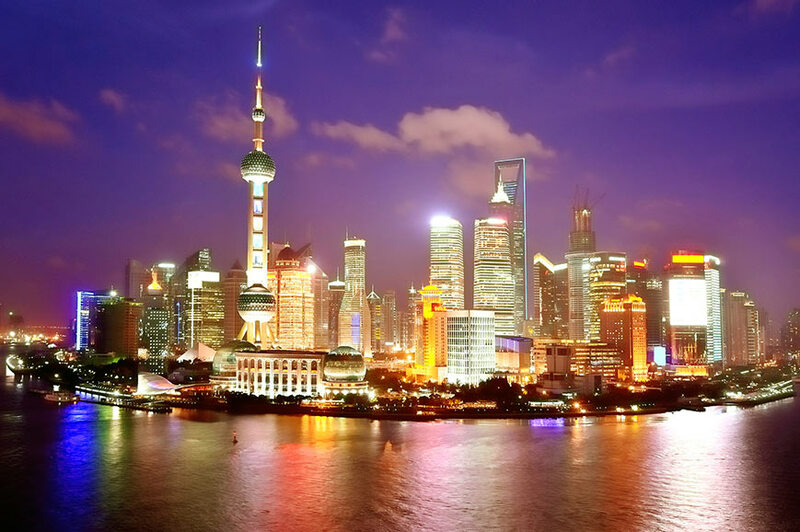 Take our boat tour along the Huang Pu River where you can take a glimpse of Yangpu Bridge, Nanpu Bridge and see many of Shanghai's famous sites such as the People's Hero Monument, the Bund (Wai Tan), the Oriental Pearl TV Tower and the dramatic skyline of the Pu Dong business district. Also, in view of the river is the bustling International Passenger Station of Shanghai Harbour, the docks and the Wu Song ancient Gun Fort relics. 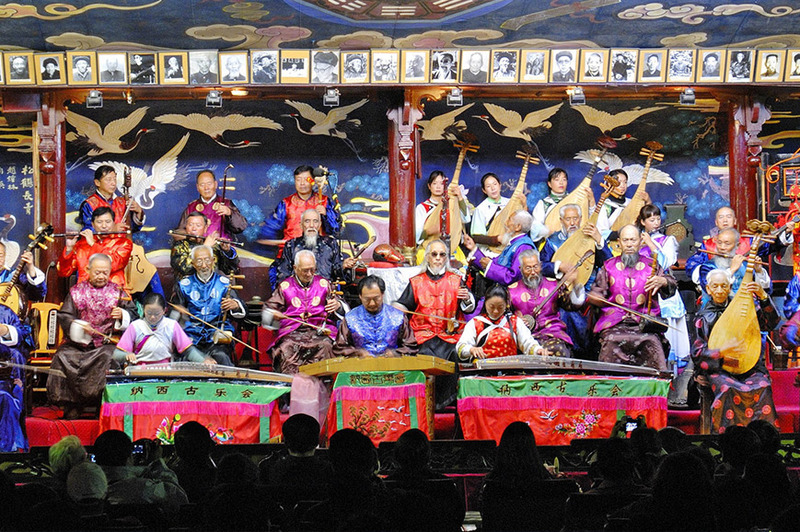 The Naxi people, who are long-time inhabitants of Lijiang, have created a unique and splendid concert to celebrate their cullture. This includes the Dongba culture which is primarily based on the local religion, and touches every aspect of daily life. Music and dance are also the two treasured cornerstones of the mysterious Dongba Every night from 20:00 to 21:30 there is a wonderful concert performed by a group of local senior musicians in the centre of Lijiang, as the average age of the musicians is 60 years old this tradition is dying away as the number musicians who have mastered this traditional skill has dwindled year after year. 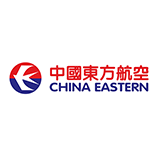 ​On the final day of your holiday you will transfer to the airport for your flight to Hong Kong. Hong Kong is known for its diverse culture, spectacular skyline and glittering natural harbour. It also boasts a unique blend of fascinating museums, stunning country parks and vibrant festivals. 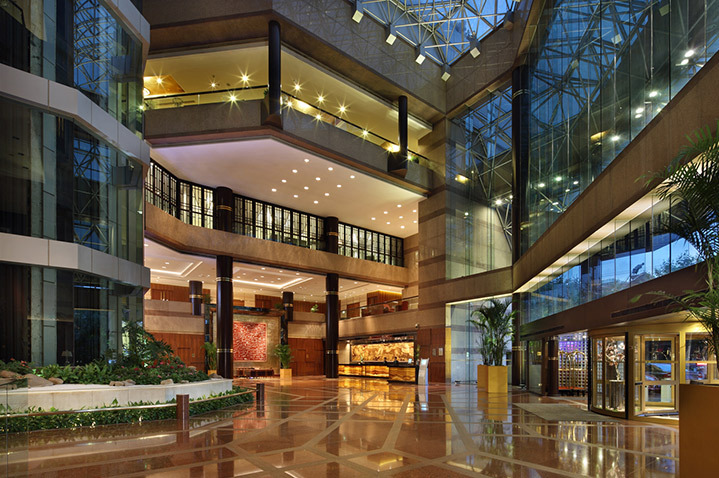 You will stay in a hotel such as the 4-star Dorsett Wanchai Hong Kong. 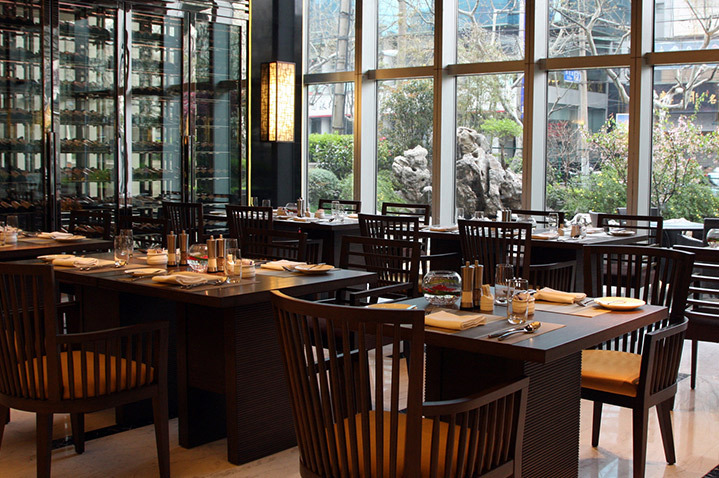 After breakfast we'll transfer you to the airport for your flight to Hong Kong, where you'll stay for four nights. This morning you'll get to know Hong Kong Island during a tour. First you'll journey by road to the top of Victoria Peak for fantastic views over the city. You will also see Repulse Bay and Hong Kong's most famous beach. Next you'll head to the floating village of Aberdeen, home to a thriving community of 30,000 people living in variety of junks, sampans and boats. Aberdeen is also host to some fabulous seafood restaurants, so why not stop to enjoy lunch. After time at leisure this afternoon, you might choose to join our optional evening excursion. Hong Kong really is magical at night, and on this trip you'll take a cruise around Victoria Harbour before enjoying at meal at a restaurant on The Peak. After dinner there's time for shopping at one of the bustling outdoor markets. You'll discover more of Hong Kong today as you have a day at leisure, alternatively, you could take an optional full-day tour of Macau. Located across the Pearl River, this former Portuguese colony is a centre for gambling, but among the many casinos there are some wonderful historic buildings to admire, such as the 17th century Church of Sao Paulo. Hong Kong is incredibly easy to get around, thanks to excellent public transport links. During a free day, why not take the Star Ferry across Victoria Harbour to Kowloon. Once here, take a walk along the Avenue of the Stars, Hong Kong's answer to the Hollywood Walk of Fame. This is also an ideal vantage point to enjoy the nightly spectacle of 'A Symphony of Lights'. Be sure to visit the Western Market too. Built in 1906 and renovated in 1991, this Edwardian building is full of enticing shops. Alternatively, join our full-day optional excursion to Lantau Island, where you'll see the Po Lin Monastery and Giant Buddha Statue, and take a ride on the Ngong Ping Cable Car. Choose our optional Hong Kong add-on and you'll conclude your holiday in style with a stay in one of the world's most dynamic and exciting cities. Sophisticated, cosmopolitan with a spectacular skyline and harbour, Hong Kong is Asia’s World City. It is a unique blend of East and West, successfully combining contemporary style with over 5,000 years of ancient Chinese heritage. Hong Kong offers so many fantastic attractions and events that will leave a lasting impression of this wonderful city. From gleaming skyscrapers to peaceful outlying islands, Hong Kong has breathtaking viewpoints. There are many beautiful sights to see in Hong Kong but the most popular attraction is The Peak, the highest point on Hong Kong Island. Visitors can travel to the top of The Peak by a tram service and admire the view of skyscrapers and Victoria Harbour all the way to the green hills of the New Territories. For shopaholics, Hong Kong offers a vast contrast and choice of shopping experiences from bustling markets to ultra modern malls and department stores. Visitors should head to the Mongkok District for a chance to practice their haggling skills on goods such as clothing, watches, bags, home furnishings, CDs and trinkets. For more market action other options include Temple Street night market and Ho Hung Kee in Causeway Bay. To escape the hustle and bustle of city life, Hong Kong has over 260 outlying islands to explore. Lantau Island is a great choice to experience the Hong Kong countryside and admire the beautiful greenery. Visitors can take the NP360 cable car to see this other side of the city. They can climb to the top of the Big Buddha statue and also visit the Tai O Fishing Village. Hong Kong’s culture is a melting pot of customs and traditions, influenced by thousands of years of immigration. Wherever you look in the city, there is a story to be told that will take you back centuries. 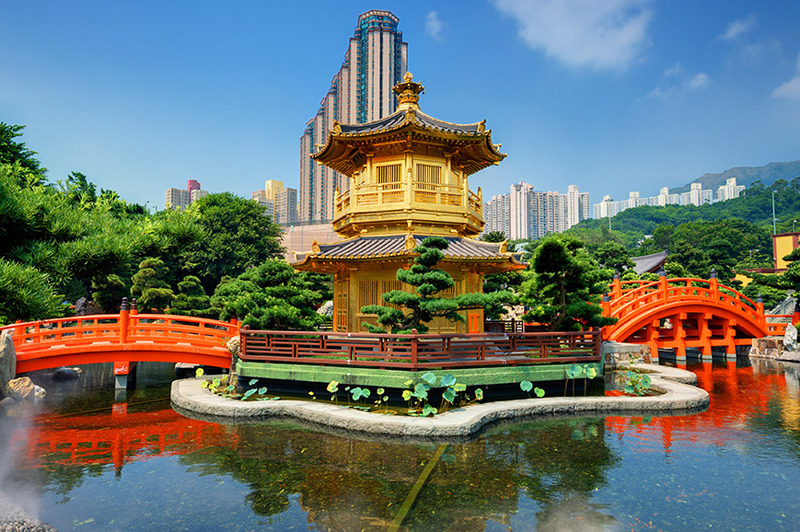 The Sik Sik Yuen Wong Tai Sin Temple is a scenic attraction to visit due to its beautiful ornate building and rich history, it a perfect opportunity to see the cultural side to Hong Kong. Hong Kong has emerged as one of the world’s most fast-paced and dynamic cities. 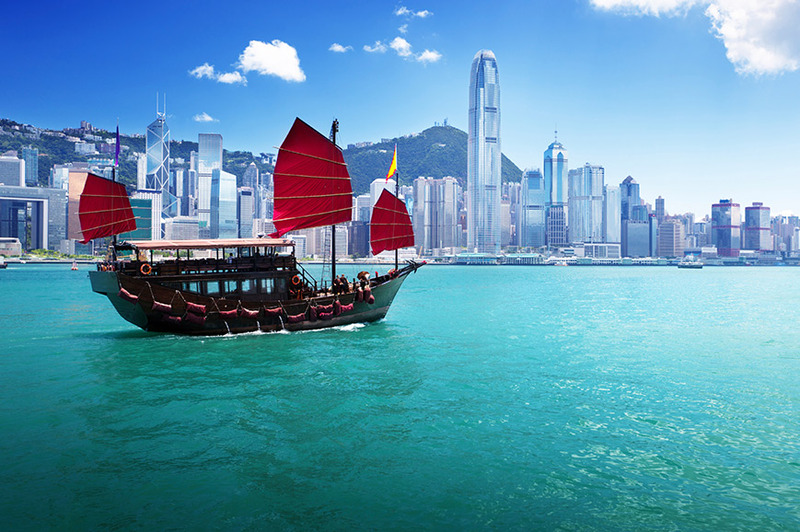 With beautiful harbour views there is no better way to see Hong Kong than a harbour cruise. Start off your trip my taking a ride on one of the traditional Chinese junk boats and tour the Victoria Harbour with the best view in the house. With over 11,000 restaurants Hong Kong is known as the ‘Culinary Capital of Asia’; ranging from Michelin star dining to street stalls, it is a gourmet paradise. 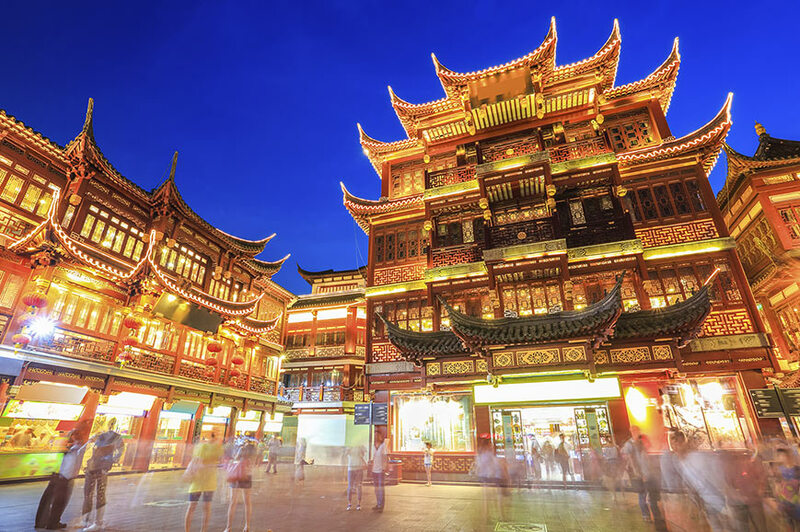 It is also home to the cheapest Michelin starred restaurant in the world, Tim Ho Wan, and other lovely local eateries, there is something for everyone. Hong Kong’s coastal area has a rich array of beaches, coves, bays, cliffs, arches and sea caverns just waiting to be explored. Repulse Bay is one of the most popular beaches with both locals and visitors, it is ideal for beach strolls or to enjoy a beautiful sunset. This crescent-shaped stretch of sand is one of the most stunning beaches in Hong Kong. Hong Kong has a rich natural side with quaint villages and beautiful rolling mountains. Visitors can hike, camp and enjoy the green country parks away from the busy city. Sai Kung is known as the 'back garden of Hong Kong', a great area to fish or sail in the sheltered waters, BBQ or sunbathe on secluded beaches, and swim or snorkel in the clear blue waters. Many Tibetans are held back by a lack of education and even though three quarters of Tibetan children enter elementary school, less than half of them continue to middle school. Although schools are free and even the poorest families consider education important, many of them cannot send their children to school due to the lack of schools in rural communities, or the necessity for children to help their parents with agricultural work. The most common solution taken by poor families is to spend what little money they have for the education of only one child, while others often cannot read or write. At Travelsphere we believe in giving back to the communities we visit, supporting various charities and helping people in need all over the world. In Tibet we support a local village in Lhasa by providing vital materials to aid their children’s education.